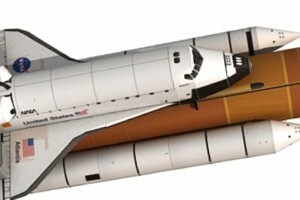 I had a space shuttle pencil sharpener when I was a kid, it was a die-cast metal with bronze color. I love it so much but I don't know where it is now. 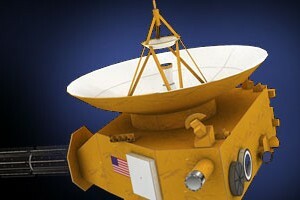 I want to make a paper model of a space shuttle subject for so long, but only now I have the chance to make it happen. So here it is, a 1:150 scale paper model of a Atlantis space shuttle STS-135. I choose Atlantis because it was the last orbiter that ended NASA space shuttle program. Atlantis completed its last mission and last flight on July 21, 2011. The paper model is using mixed of glue tabs style, conventional glue tabs and separate glue tabs for smooth seams. If you're new to this kind of method you can learn about separate glue tabs on Airliner category. This model is quite simple if compare to other templates with the same subject on the net. 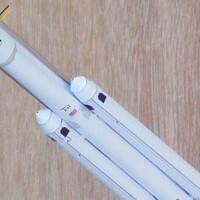 The complete model will have about 40 cm or 15.8 inches in height. I challenge you to add your own custom details :), have fun with it. On July 20th 1969, this massive machine blasted out to the blue sky and entering mankind to a whole new level. This rocket Saturn V SA-506 was used to propelled 3 brave men to the space and finally stepped their feet on moon's soil accomplished their Apollo mission, the 11th mission. They are Neil A. Armstrong, Michael Collins and Edwin E. "Buzz" Aldrin, Jr. Saturn V was continue to be use to bring many astronauts to the moon until 5th times on Apollo 17 mission in 1972. 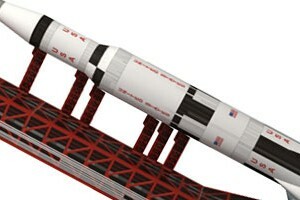 Saturn V services ended in 1973 after accomplished Skylab program. The reason I made this model is because it's quite simple model. 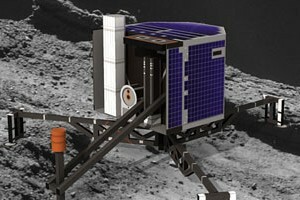 The complete model will be around 40 cm in height, the scale is 1:300. The template contains 9 pages of patterns.